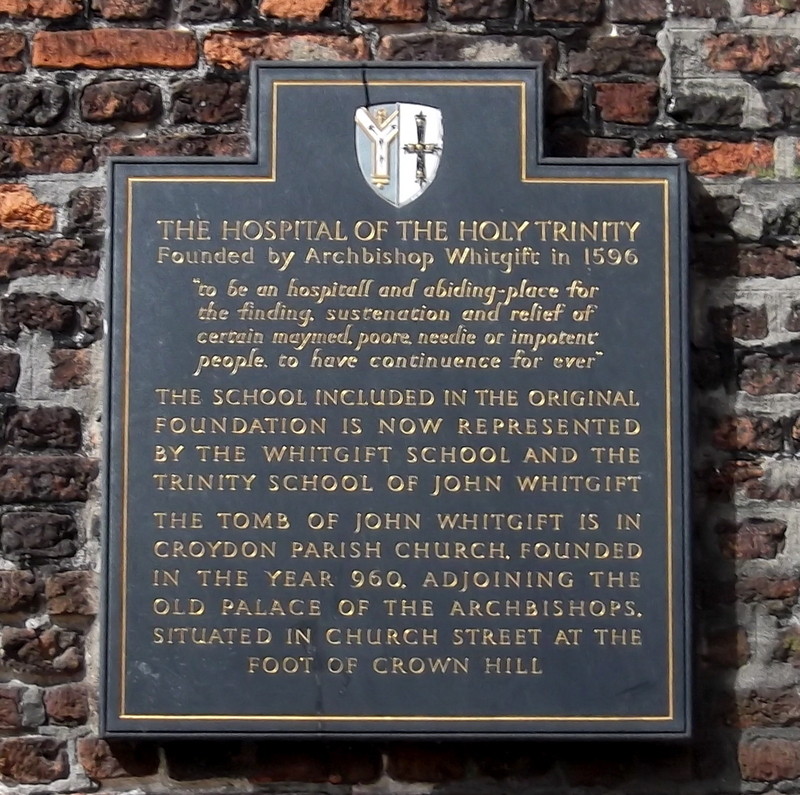 The Hospital of the Holy Trinity founded by Archbishop Whitgift in 1596. "to be an hospitall and abiding-place for the finding, sustenation and relief of certain maymed, poore needie or impotent people, to have continuence for ever"
The school included in the original foundation is now represented by the Whitgift School and the Trinity School of John Whitgift. 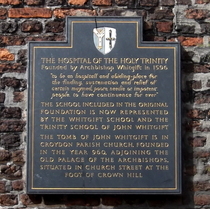 The tomb of John Whitgift is in Croydon Parish Church, founded in the year 960, adjoining the old palace of the archbishops, situated in Church Street at the foot of Crown Hill.